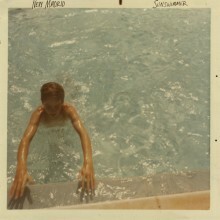 Athens, GA psych-rock band New Madrid is currently out on tour in support of their newest full length Sunswimmer. The group will be performing at DC9 on February 18th along with Go Cozy and Witch Coast. Normaltown Records has given us a pair of tickets to give away to one lucky winner for anyone interested in checking out the show. If you’re a fan of psychedelic or indie rock of any kind, this is definitely a concert you’re going to want to check out, and DC9’s always a great intimate venue that lets you get a great view of the performance no matter where you’re standing. 1) Comment on this post saying that you want to check out the show on the 18th. 2) Post a comment on our Facebook page. 3) Retweet our tweets about this contest or tag our Twitter page in a tweet! Want to get an idea of the music you’ll have a chance to hear on the 18th? Check out music from New Madrid, Go Cozy, and Witch Coast below. If you’re not in D.C. but want to know when New Madrid will be coming through your town, check out a list of upcoming tour dates in this post.